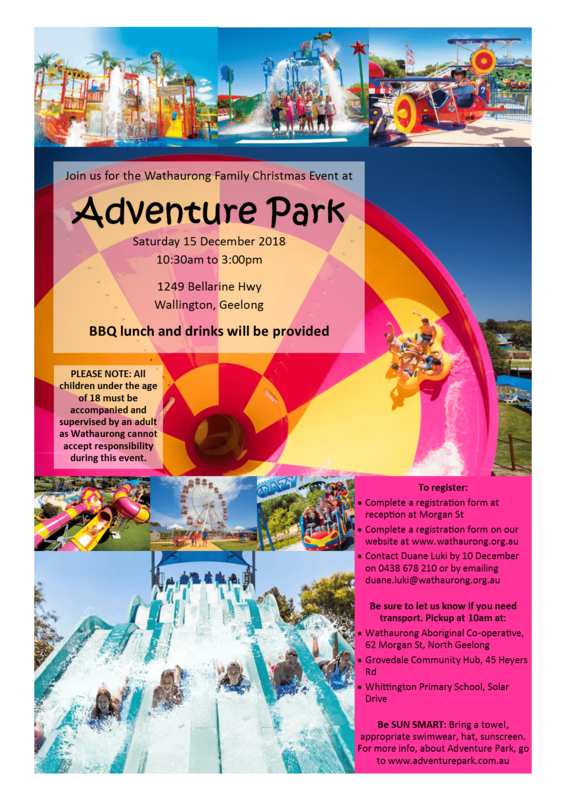 On behalf of the Board you are formally invited to the Wathaurong Family Christmas Event as part of our end of year celebrations with our members. PLEASE NOTE: All children under the age of 18 must be accompanied and supervised by an adult as Wathaurong cannot accept responsibility during this event. A Wathaurong staff member will contact you prior to the Event so please ensure you leave your correct details when registering.